An age gap of 21 years between the first-fives highlights a player of the future and the surprise recall of a standout veteran in the extended 2015 Steelform Wanganui Heartland squad announced on the weekend. Twenty-eight local players have been named, with coach Jason Caskey and his selectors expected to announce two imports or origin players ” covering tighthead prop and the outside backs ” at some stage this week, before the team goes into camp at Raetihi on Friday ahead of their first pre-season game with King Country at Ohakune the following day. From this, a final squad of 26 will prepare for the start of the Heartland campaign on August 22. First training run is Cooks Gardens on Wednesday night, with anyone unable to attend advised to contact Caskey. The major talking point is the inclusion of 89-game Wanganui veteran Denning Tyrell after a superb season guiding Integrity Motors Pirates to another championship. Tyrell’s form warranted selection ” the 39-year-old was the season’s joint-MVP winner, top points scorer and player of the day in Saturday’s grand final win over Waverley Harvesting Border. However, his representative career had seemed over in 2012 when Tyrell withdrew from the Heartland team over contractual issues. Caskey, coach at the time and a former Wanganui team-mate of Tyrell himself, called the veteran playmaker earlier in the year to see if he was interested. “He said, ‘I could be’. “I still have to call Denning [to confirm],” Caskey said yesterday afternoon. “We had a meeting [on Saturday] and they all agreed he was the one player … who can really just direct a game and be very influential. One of those players is Wanganui Collegiate’s standout playmaker Stephen Perofeta, the Hurricanes Under 18 representative, who becomes the fourth or fifth schoolboy chosen to join the Wanganui senior team. Talented backs will be needed as the 50-plus game veteran Ace Malo may miss the first three games with his arm injury. Another talking point is Border’s big second-five Renato Tikoilsomone being included in his preferred position of the loose forwards, covering blindside flanker or No 8. Only one member of third-placed PGG Wrightson/Ballance Taihape made the cut in incumbent winger Jaye Flaws, as club captain Tremaine Gilbert was one of two notable omissions, the other being Pirates and 2014 Wanganui winger Clive Stowers. Caskey said both Gilbert and Stowers were the two unlucky players to miss out, as the four-man selection panel went with consistent form and what attributes work best within their current squad. Both are in the Wanganui Development team, which includes an interesting mixture of Premier and Senior players, while players have also been announced for the Under 20’s trial. Forwards: Brett Turner (Pirates); Bryn Hudson (Ngamatapouri); Cole Baldwin (Border); Daniel Fitzgerald (Marist); Fraser Hammond (Ruapehu); Kamipeli Latu (Border); Kieran Hussey (Border); Lasa Ulukuta (Pirates); Malakai Volau (Utiku OB); Peter Rowe (Ruapehu); Renato Tikoilosomone (Border); Roman Tutauha (Ruapehu); Sam Madams (Border); Tololi Moala (Pirates). 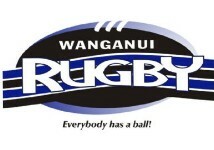 Backs: Areta Lama (Kaierau); Ace Malo (Kaierau); Denning Tyrell (Pirates); Jaye Flaws (Taihape); Kane Tamou (Ratana); Lindsay Horrocks (Border); Michael Nabuliwaqe (Utiku OB); Poasa Waqanibau (Border); Samu Kubunavanua (Utiku OB); Simon Dibben (Marist); Stephen Pereofeta (Wanganui Collegiate); Troy Brown (Ruapehu); William Short (Ruapehu); Zyon Hekenui (Ruapehu). Sam Stewart (Marist); Josh Hirini (Utiku OB); Tawhio Gupwell (Ruapehu); Darrell Joesph (Counties); Rimu Wepake (Taihape); Lake Ah Chong (Marist); Jack Hodges (Border); Johnson Hiroa (Taihape); Faalafi Vave (Pirates); Bobo Ulukuta (Border) Tremaine Gilbet (Taihape); Jake Alabaster (Marist); Apenisa Ratugolea (Ngamatapouri); Brett Nicholls (Taihape); Steelie Koro (Tech); Isi Baleitavuki (Ngamatapouri,); Te Tua Kemp (Ratana); Josiah Bololiki (Marist); Tom Symes (Border); Pene Ulukata (Pirates); Bronson Tumai (Marist); Clive Stowers (Pirates). Training will be at Spriggins park on Thursday night at 6.30pm, meet at Pirates changing rooms 6.15pm. Forwards: Nathan Bradley, James Brett, Dominic Broadhead, Joseph Edwards, Gabriel Hakaraia, Kahl Elers, Hadlee Hay”Horton, Bradley Richmond, Keanu Puki Kaa, Kayden Shedlock, Carlos Tahau-Haitana, Hoani Woodhead, Jack Yarrall. Backs: Stewart Brosnahan, Ngatu Bates, Ruslan Casey, Rory Gudsell, Patrick Hiscox, Taylor Kirkwood, Andre McDonnell, Paora McCarthy, Shayden Phillips, Taylor Transom, Grayson Tihema. First practice at Taihape on Thursday, 6.45pm. Denis Edwards, 06 342 5500 or 027 886 6413. Darren Munro 027 297 2352.